Sometimes the problem isn’t so much the product as the packaging. 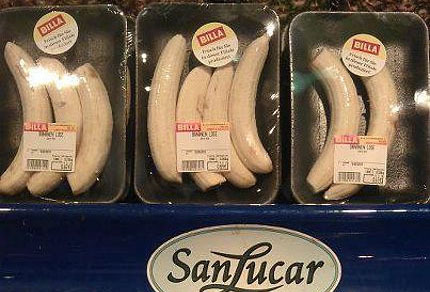 Fortunately, the Austrian supermarket chain selling these has been shamed into apologizing and re-clothing the bananas. Source: Austrian Times via Gizmodo. This entry was posted in Wrongest Product Awards on October 9, 2012 by David Bergman.